Yes! The Dana Biomedical Library will be moving! Twice! Our first move will be to 37 Dewey Field Road. This will be our temporary home in order to allow for the construction of the new North Campus Academic Center. 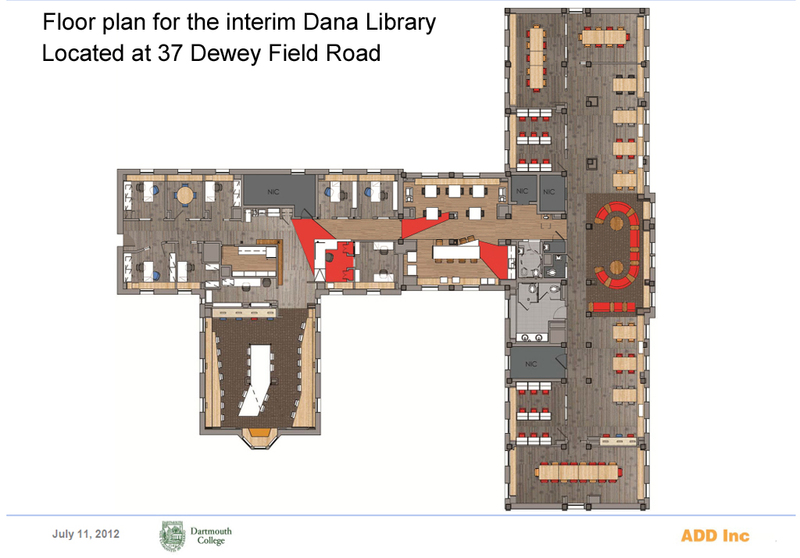 Our interim Dana Library will provide library services and student study space in a warm and cheerful environment. And, we are exploring the possibility of having it available to students 24×7! This first move will not occur before April 1, 2013. There will be no disruption of services at the current Dana Library during first term. Our second move is now projected for the beginning of 2016, when the new North Campus Academic Center is scheduled to open. During the interim period all of Dana’s print journal volumes and most of its books will be housed offsite; reserve material and a few other books will move with us to 37 Dewey Field. The material housed offsite will be quickly delivered to campus libraries upon request. If you have questions about the moves, please contact us. We’ll post more details here in the future. This entry was posted in Library Events, New Materials, News Item, Staff. Bookmark the permalink. One Response to Is Dana Library Moving? Pingback: More details on the Academic Center, Dana’s move :: Dartmo.